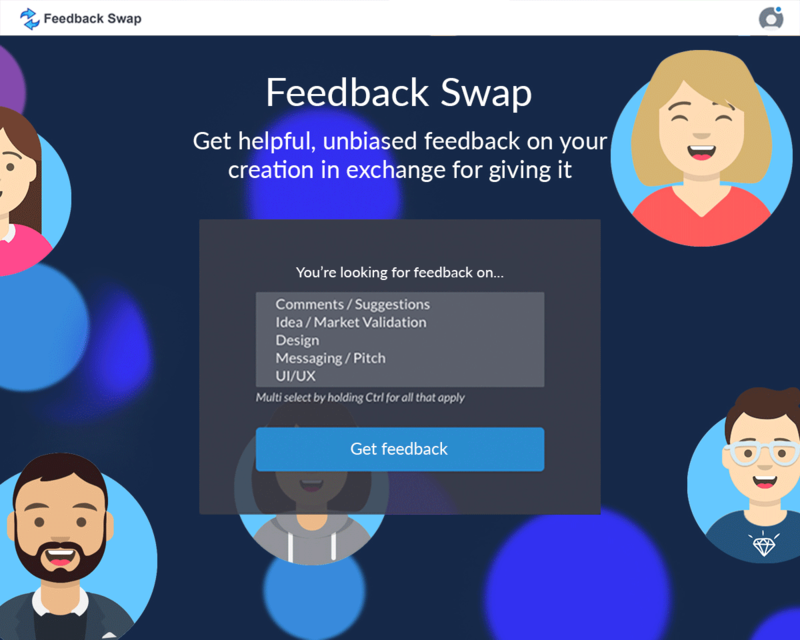 Feedback Swap is a platform that matches users to get and give helpful and insightful feedback on any creation. Whether you're looking for feedback on your startup, idea, design or anything else, you're at the right place. With Feedback Swap you have instant access to a community of helpful feedback givers who can help you take your project to the next level. Specify your audience, get matched and start swapping feedback.